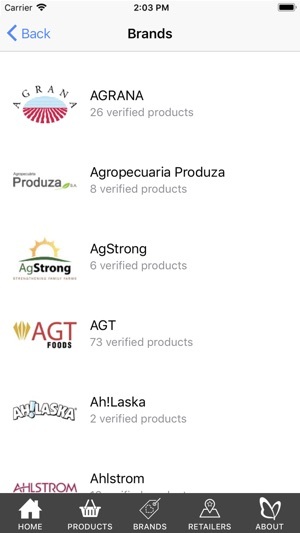 Designed to support consumers right to know what is in our food and in avoiding GMOs, this app features a list of the brands and products that have been verified through the Non-GMO Project’s Product Verification Program. The Non-GMO Project’s program is the ONLY third-party non-GMO verification program in North America, and “Non-GMO Project Verified” is the only non-GMO claim backed by transparent and rigorous standards. The Non-GMO Project is a non-profit organization originally founded by retailers committed to providing consumers with reliable non-GMO choices. The list of Non-GMO Project brands and products in this guide is searchable by product type, brand name, product name, and key word. 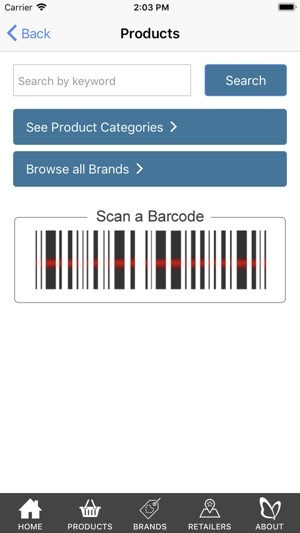 It addition, use it to find Supporting Retailers in your area that can help you with your non-GMO shopping. The guide also includes tips for avoiding GMOs, including a list of GMO crops and common ingredients at risk for GMO contamination. More on the history and mission of the Non-GMO Project is included as well. Use this guide any time you shop—you’ll find it to be the ultimate resource for helping you avoid GMOs! 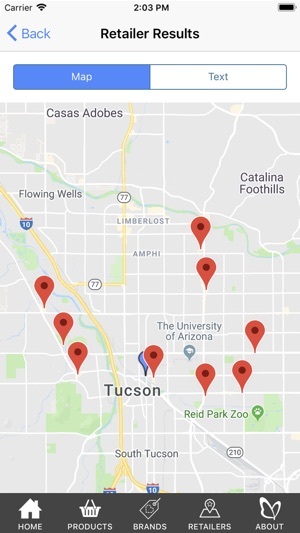 Fixed database issues; better retailer mapping. 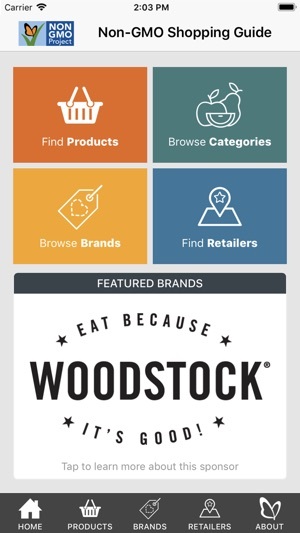 The app is pretty easy to navigate and understand, but it doesn't have any guide with tips or list of crops like it says it does in the description. I have clicked through every tab and every setting only to be unable to find this. I really wish it was there as it would be very useful to have. 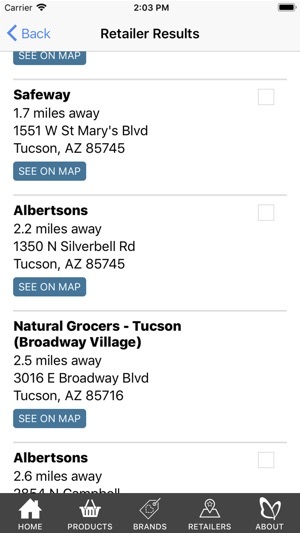 The other reason I only gave it 3 stars is that in my area I only have one store verified by them and previously I had never heard of it, let alone been there to check out the store. Because of this I didn't rate the app higher since for me I can't really use it to its full advantage. Hopefully that will change if/when gmo's become less common in our food. Everything the Nongmo project claims is false. Gmos have over 2000 independent studies behind them, none of which have indicated negative health effects. 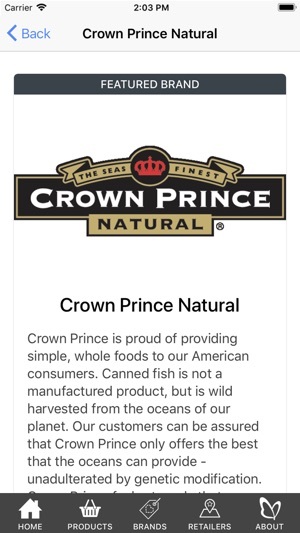 The NonGmo project is a predatory organization that seeks to discredit science by feeding every naive person who downloads the app or reads their publications false facts and ad hoc conclusions. GMOs being safe is a fact and regardless of your opinion the fact remains a fact. Gmos are safe, and honestly anyone who says they should be banned is blinded by privilege of food security and seeking to deprive that of the less fortunate. Missing App in Settings?? Why? 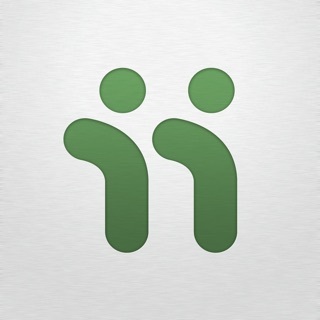 There is an app icon, I went into the app and tried to find out why, but there no information guide either. Now I feel unsettled, is this app legit. Why can't I find it in my settings, so I can turn cellular data and/or location off?